If you don’t have any, go buy some. 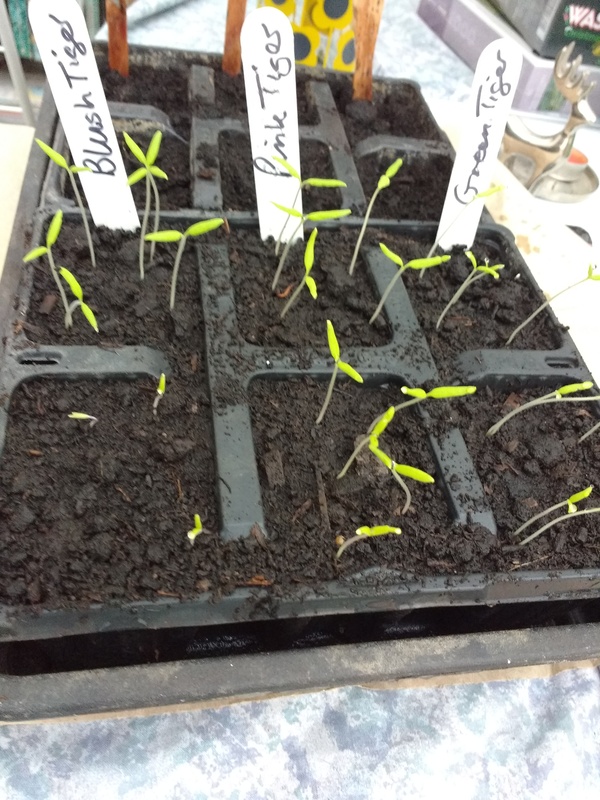 Sow them in some good compost in either a seed tray or if you don’t have the room for that in a small flowerpot on a windowsill. You need to keep them somewhere sunny and warm, and a windowsill is perfect. A propagator in a warm room would be good too. Give them a little water to get the compost damp, but don’t water them again until they germinate. Once they’ve germinated, keep the compost slightly damp, but don’t over water them. When they’ve produced their first true leaves (the seedlings above don’t have their true leaves yet), pot them on into two or three inch pots / modules. This entry was posted in Fork To Fork, Garden / Allotment and tagged allotment, fork to fork, garden, tomato. Bookmark the permalink.